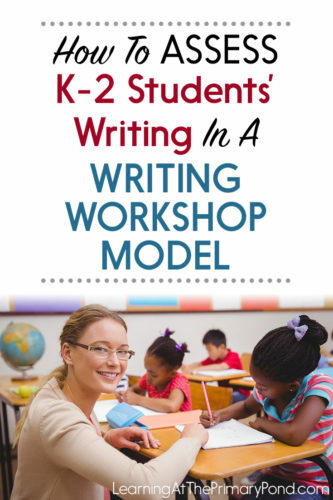 In the writing workshop model, assessing or grading students’ writing can be a challenge. 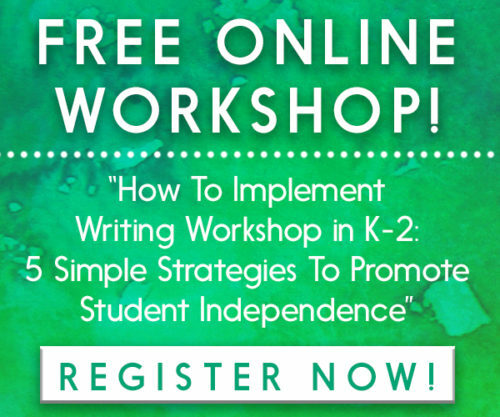 Students are typically choosing different topics, selecting which strategies they want to apply, finishing their writing at different times…it can feel a little “all over the place.” So how do you assess their work in a consistent, easy-to-manage way? In this post, I’ll explain both of these systems AND share how you can convert rubric scores to grades! First, let’s think about the year as a whole. During the year, I will teach informational, opinion, and narrative writing. I teach 2 units in each genre (they spiral). I want to find out what my students can do in each genre at the beginning of the year, after I’ve taught one unit in the genre, and again at the end of the year. Step 1: I find or create a genre rubric for informational, opinion, and narrative writing. Your genre rubric should be detailed enough so that it can inform your instruction and guide you in choosing specific skills to teach. It should also include enough of a range so that you can accurately evaluate students who are on the high or low end of the skill spectrum. Print a copy of each genre rubric for each student in your class. 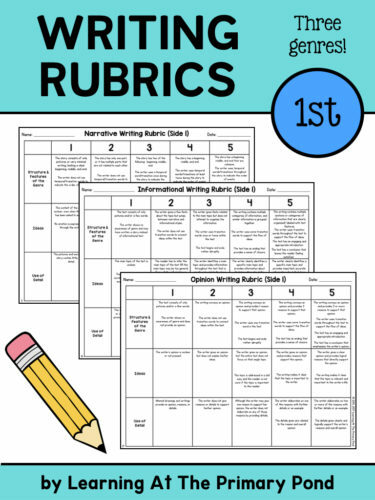 SAVE these rubrics and use them throughout the year to track students’ progress. Step 2: A couple of weeks into the school year (or before I teach each genre), I give students a prompt for each type of writing. After I’ve taught some writing workshop procedures and routines and the kids have done a little bit of writing, I give the first prompt. You can choose any genre, but I like to start with narrative. I make sure that I give this prompt BEFORE I have taught students skills in the genre. I really need to see where they are starting from so that I can adapt my instruction accordingly AND get a true sense of their progress during the year. While students are writing, I don’t provide support. If a student isn’t producing any writing, I might say, “What are you going to draw/write about?” Other than that, it’s up to them! 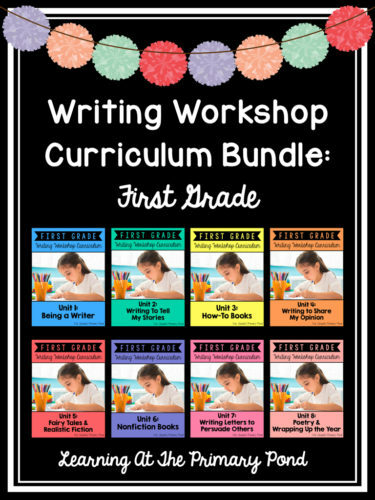 So that it’s a low-anxiety activity for them, I just explain that I want to be the best teacher I can be, so I need to learn about them as writers at the beginning of the school year. You can give all 3 prompts toward the beginning of the school year to get them out of the way. OR you can just give the prompt for the genre you’re going to teach first. Then, before you teach the other 2 genres, give the corresponding prompts that you didn’t give at the beginning of the year. Step 3: I score those “baseline” writing samples with the genre rubric. Once students have produced a writing sample for a prompt, I use the genre rubric (from Step 2) to evaluate the writing. I mark all students’ rubrics with the same colored colored pen or pencil. Then, I can come back to the same copy of the rubric later on in the year and score it again (with a different color). This first time, I don’t use students’ scores as grades—again, this is formative assessment, done prior to instruction. Step 4: After teaching at least one unit in a genre, I score students’ writing samples with the same genre rubric. Later on in the year, once I’ve finished teaching at least one unit in a genre, I again come back to those genre rubrics. I take a piece of writing that students have produced during the unit, and I score it, using a different colored pen or pencil to mark on the original rubrics. 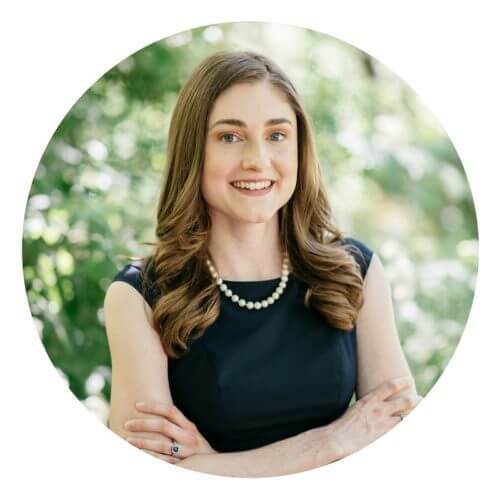 The writing samples that I choose have been revised and edited by the students, but I don’t provide students with adult help before I score the samples. Step 5: At the end of the year, I give prompts similar to those I gave at the beginning of the year. Rinse and repeat! Toward the end of the school year, after teaching one more additional unit in each genre, I repeat Step 2, using the same or very similar prompts. Step 6: I score the end-of-year writing samples with the same genre rubric and (hopefully!) celebrate all the progress we made! Once again, I score the writing samples using the same genre rubrics. Because I now have circled parts of the rubric in three different colors, I can easily see how students have progressed throughout the year. The process I described above provides me with a “big picture” look at students’ writing in each genre, 3 times per year. Step 1: I list out the most important goals for the unit. When I teach a unit, there are a number of different skills that I teach. BUT I don’t necessarily expect all students to completely master them. However, I make sure I’m clear on the “essentials” of the unit—what I absolutely want all students to be able to do after I teach the unit. I list out these goals before I start the unit. Step 2: I get my class checklist ready. This checklist provides me with a place to make notes throughout the unit. Step 3: I make notes on the class checklist throughout the unit. 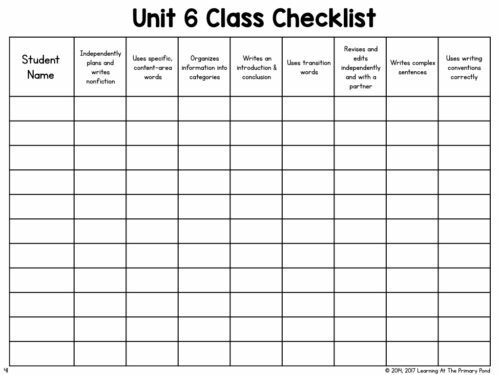 As I meet with students individually or in small groups, or when I pull students’ writing folders, I can use the class checklist to write notes about how students are doing with each essential goal. Because I have notes about all of my kids on 1-2 sheets, I can easily see where multiple students are struggling. Then, I can then make adjustments to my whole group instruction or plan small group activities for specific students. This checklist is for my own use. I don’t share it with students or parents. Again, this is formative assessment. 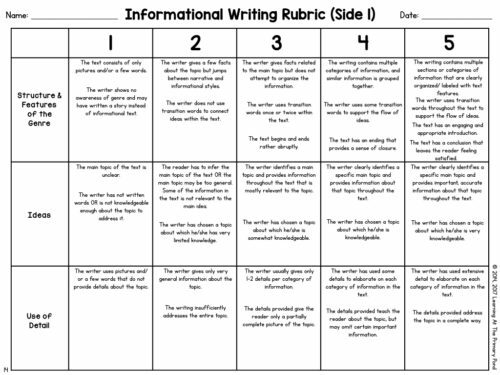 Step 4: Using a unit-specific rubric, I evaluate a writing sample that students have revised and edited on their own. At the end of the unit, right before I help students revise and edit, I evaluate a piece of writing that they’ve produced during the unit. I choose one that I know they’ve revised and edited on their own (not a first draft). 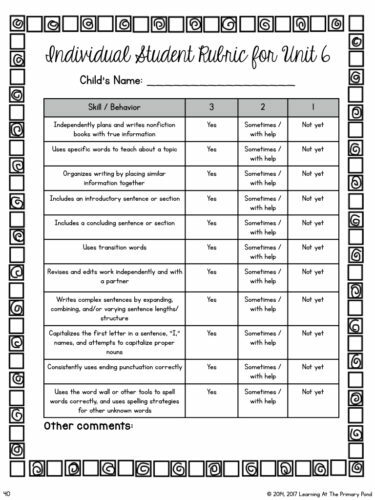 The rubric has the same criteria that the class checklist does. 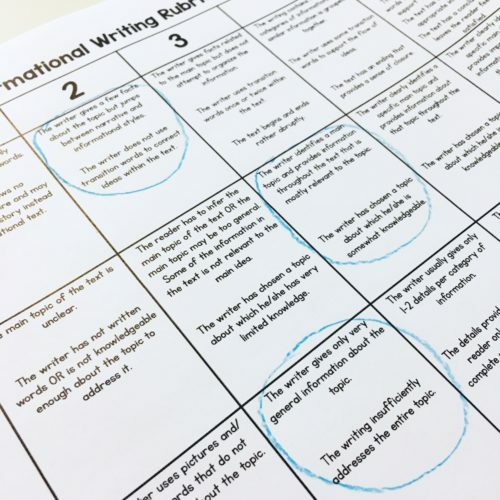 You CAN sometimes skip this step if you’re using the genre rubric approach, because technically you can end up evaluating one piece of writing with two different rubrics. But I’m fine with doing it twice, because I like to get a picture of how each student did on the unit-specific goals AND the overall genre goals for the year. Sometimes, I use this unit-specific rubric twice during a longer unit: once in the middle, and once at the end. The assessments I’ve discussed in this post are designed to provide information for you—about how students are doing and what you need to teach. But we also have to share information with other people—like parents and administrators. 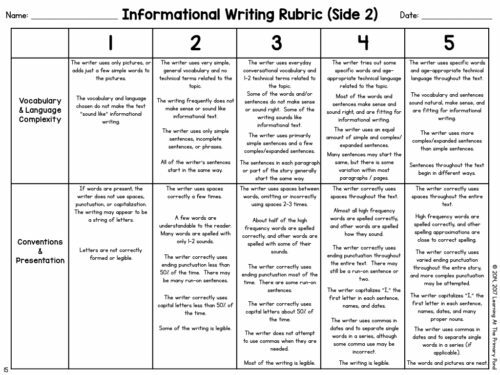 If you use my writing units, the unit-specific rubrics are great to share with parents. Meet with your team. Bring the scored rubric(s) you want to use to generate grades for students. With your team, decide what constitutes an A, B, C, etc. You can do this with number grades too. For instance, you might say that scoring 31-33 points on the unit-specific rubric above is an A, 28-30 points is a B, etc. Is it a little bit subjective? Yes, but grading writing always is, to some degree! As long as you and your team (or just you, if you’re on your own) have created specific number ranges for each grade, you will be able to easily justify your grades to parents or administrators. Make sure to keep the rubric(s) that you used to generate the grades so that you can provide in-depth explanations if necessary. Honestly, rubrics provide so much more useful information to parents than grades do! 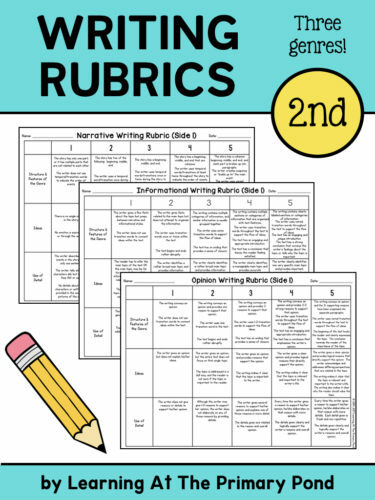 Want these rubrics (and writing lessons) done for you? 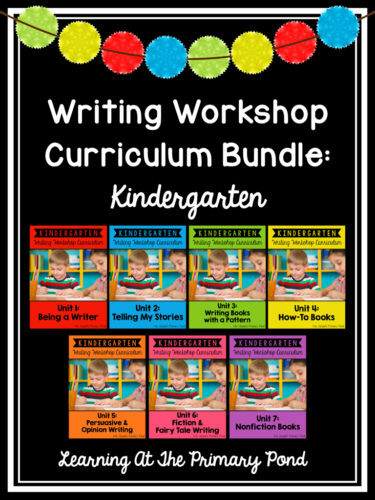 Check out my kindergarten, 1st, and 2nd grade writing bundles. 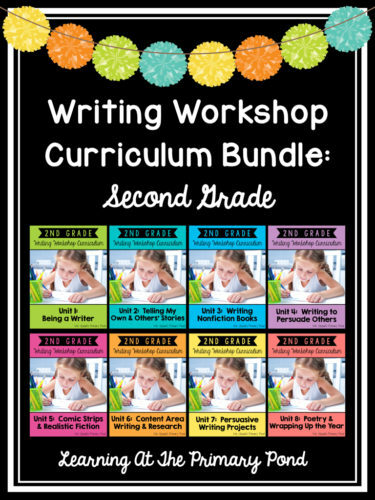 All of the rubrics in this post come from these resources! ← 3 Literacy Organizations to Support With Your Holiday—or Any Time of Year—Giving!